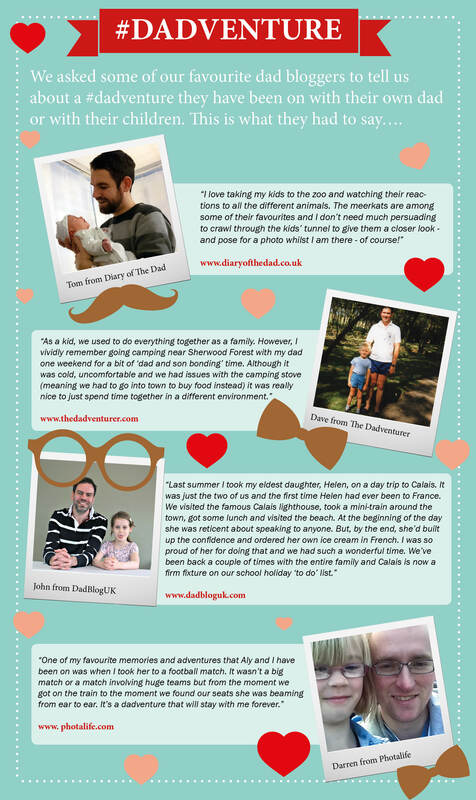 It’s Fathers Day next weekend and so to honour all the special male role models out there we have asked 4 of our favourite dad bloggers – Darren from Photalife, Tom from Diary of The Dad, Dave from The Dadventurer and John from Dadblog UK about their most memorable #dadventures. Read on to find out what their favourite #Dadventures are! Let us know about the #dadventures you have been on with your dad or taken your children on, on our RLD social channels. Images: Darren from Photalife, Tom from Diary of The Dad, Dave from The Dadventurer and Dave from Dadblog UK.